Berkeley College is proud to announce that junior forward Milan Germany of the southern Bronx, NY, has received athletic honors from the Hudson Valley Intercollegiate Athletic Conference (HVIAC) for women’s basketball. Ms. Germany attends Berkeley College in Midtown Manhattan. Ms. Germany was named HVIAC Player of the Week during the week of January 7 for her performance in a game against Medgar Evers College, during which she scored 20 points while grabbing nine rebounds, dishing six assists and tallying three steals. She also was named to the HVIAC Honor Roll during the week of January 14 for recording a pair of double-doubles as the Knights captured the NHTI New Year’s Tournament. 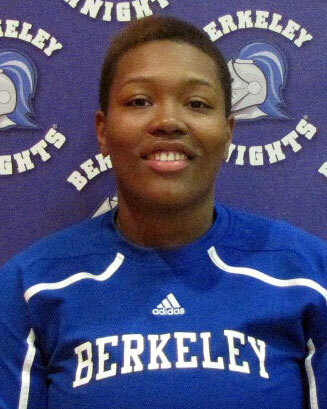 Previous Post Berkeley College Athlete Patricia Patterson Named Rookie of the Week! !